There are fears that manager Maurizio Sarri could be sacked as Chelsea boss anytime for now owing to the bad results coming from West London which is difficult to bear. The latest of the defeats suffered by the West London side is the 6-0 against Man City which adds to the 4-0 defeat against Bournemouth in the previous week. However, suggestions are that the Blues owner Roman Abramovich is known for making quick decisions when coaches fail to deliver good results and that could be the case for the former Napoli boss should he fail to return to winning ways. It is, therefore, claimed that the Blues could follow the lead by their Premier League rivals Man United by appointing a former player to take over when the Italian boss is finally shown the way out. Recall that United employed the service of former forward Ole Gunnar Solskjaer and he turned the team around by recording 10 wins in 11 games. Suggestions are that the Blues are already considering a former player Gianfranco Zola who is already an assistant at the club for the job on a temporal basis until the end of the season. 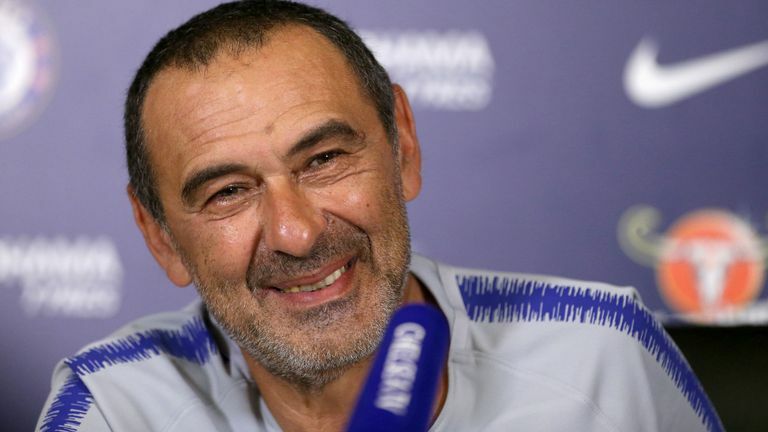 Meanwhile, Sarri is not bothered about the speculations surrounding his future as he claimed to be more concerned about the performance of his team.